Imagine the call that you never want to get. 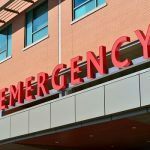 Your 17-year-old was a restrained back seat passenger in a car accident and his friend is calling you to tell you they are in the emergency room. You get there and find out that your child is all right. When you see your child they cannot really tell you what happened. You are not sure if your adolescent really knows what happened and does not want to say, or if they really cannot remember. Your child appears otherwise fine. They are a little banged up, but they are alive and look much better than the car they were in. The emergency room doctor tells you that the testing does not indicate any problems and they tell you to follow up with your pediatrician in a couple of days. It is now several months later and your child does not appear fine. He has missed several days of school and his performance has significantly declined. He complains of a headache and when you try to talk with him about what is going on he nearly bites your head off. He is not the same child that you knew before the accident. He may be suffering from post concussion syndrome. There are more than 473,000 ER visits in the United States each year due to mild traumatic brain injury (TBI). While most children with mild TBI recover, some develop cognitive, physical, and emotional problems commonly referred to as post concussion syndrome (PCS). While most children and adolescents will be symptom free after a short period of time, a small percentage of patients develop a prolonged and protracted course. Dizziness, irritability, headaches, anxiety, insomnia, loss of concentration, memory problems, and noise sensitivity are all reported symptoms of traumatic brain injuries. Headaches are the most common symptom following mild TBI. Surprisingly, headaches are more common and severe in mild TBI compared to more severe trauma and TBI. Some patients experience tension type headaches while other headaches are more typical of migraines. If these headaches do not respond to typical treatments, other diagnoses such as temporomandibular joint injury, occipital or trigeminal neuralgia are diagnoses that must be considered. Personality changes, irritability, anxiety, and depression occur in more than half of patients following mild TBI. 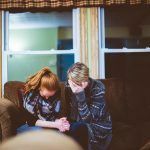 Particularly concerning for parents is that their once outgoing and energetic child is now intolerant of noise, and avoids emotional excitement and crowds. Parents also report that their child may be more abrupt, argumentative, stubborn, difficult to be around, or opinionated. These symptoms are the most likely ones to persist for more than 90 days following an accident and may respond to specific treatment. Impaired memory and decreasing ability to concentrate can be associated with a declining school performance as well. While this normally resolves over several weeks, some patients experience prolonged symptoms. Special accommodations are occasionally required in order to help students complete required school work. 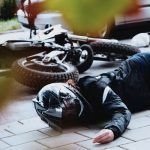 Sleep disruption and insomnia may occur and sometimes worsen mental health issues following an accident. 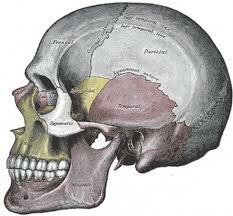 In most cases patients with significant head injuries have had a CT or MRI. If your child has not had head imaging and is now having disabling symptoms, you should talk with your child’s doctor about whether some sort of imaging is needed. In most cases, symptoms resolve in 7-10 days following an accident and the vast majority of patients are better by 90 days. If your child is having symptoms more than 3 weeks following an accident, you need to get your adolescent to a doctor that is knowledgeable in identifying and treating symptoms following a mild TBI. My name is Ed Smith. 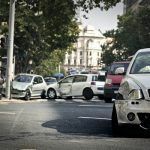 I am an experienced brain injury attorney in Sacramento with the primary accident information site in California, AutoAccident.com. If you or a loved one has suffered a serious injury in an auto accident, including any type of traumatic brain injury, please call me promptly at (916) 921-6400 for free and friendly advice. If you are calling from outside the Sacramento area code, you may call toll-free at (800) 404-5400 for free, friendly advice. Learn more about our law office by looking for us on Yelp, Google or on Avvo, the attorney rating site. We have wonderful client ratings and reviews on all three of the platforms linked above. See our lengthy track record of success on our past verdicts and settlements page.